Before you in black and white, you see a map showing the 1st minute and second of Jupiter's Direct Station 17AQ10 on Oct 13, 2009, 00:34:18 am edt, Washington, DC USA. The precise moment depends, of course, on the exactitude of one's software, which is quite naturally tossed off slightly by Moon Wobbles and other Quirks of the Universe. How constantly grateful am I not to be even remotely responsible as the one who keeps our solar system's planets in their courses! So imagine you're in DC (aka, the District of Columbia) during the wee hour of 12:34 am edt on Tuesday, Oct 13, 2009, and the Jolly Giant~Rotund Monk~Major General~Professor-the Banker of Means, performs a symbolic about-face resulting in things of a Jupiterian nature beginning - slowly at first, he's a big'un - to move forward where for months they'd been stalled, delayed, or grudgingly offered. Well! That may be a wisp of fresh air! Yes, hyper-inflation, inflation, and the over-printing of US monies fall under sway of 2009's year-long festival of the Great Conjunction/s of Jupiter and Neptune, a bubbly affair. Increased spirituality? For those receptive, yes. Lovely! But financially speaking, these big guys are the Speculator Pair when scamming together. 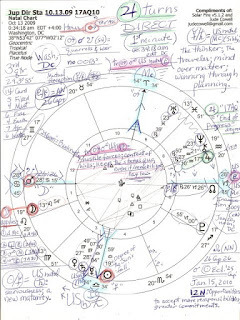 Fraud is often a partner when Neptune's deceptive tendencies meld with Jupiter's promises which can turn out to be over-estimations or pie-in-the-sky flights of whimsical fancy - not necessarily or consciously meant to deceive, yet deceive they may. 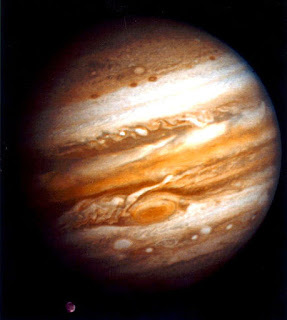 Jupiter's position at any time indicates where over-optimism may snuggle deep while over-reach creeps into the foundations and cornerstones...the first big wind swoops it all out to sea like a chilly mist over the cape...Neptune's waters are stronger than Saturn's stone or Jupiter's mantra. To counterbalance an over-abundant Jupiter, we need Saturnian stability and, yes...restriction...to rein in our exuberance, else it will grow irrational if left unattended. In a word, wild. But things in Life and Astrology are always mixtures of +-, of yin and yang, male-fem, dark and light. 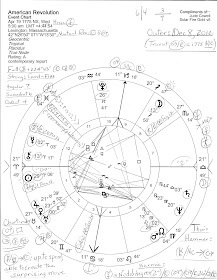 So when Jupiter relates to others in an egomaniacal and unbalanced way, we often see a difficult personality that has necessarily developed many facets (masks) in the past for hiding the holes of the traits he doesn't possess. Parts of a human psyche go...missing and distorted. Ex: your average anti-social criminal types are 'missing' consciences for one reason or another. Those of an I'm-on-the-world-stage-look-at-me mentality are simply ruthless to a much higher - make that, deeper - level, and their actions can affect larger numbers of people. They're hard to miss, so you probably know their names of the big ponzi scheme the world is saddled with. Think 'usury interest rates' and 'war profiteers' and you'll have most of them squirming in a giant pile already. 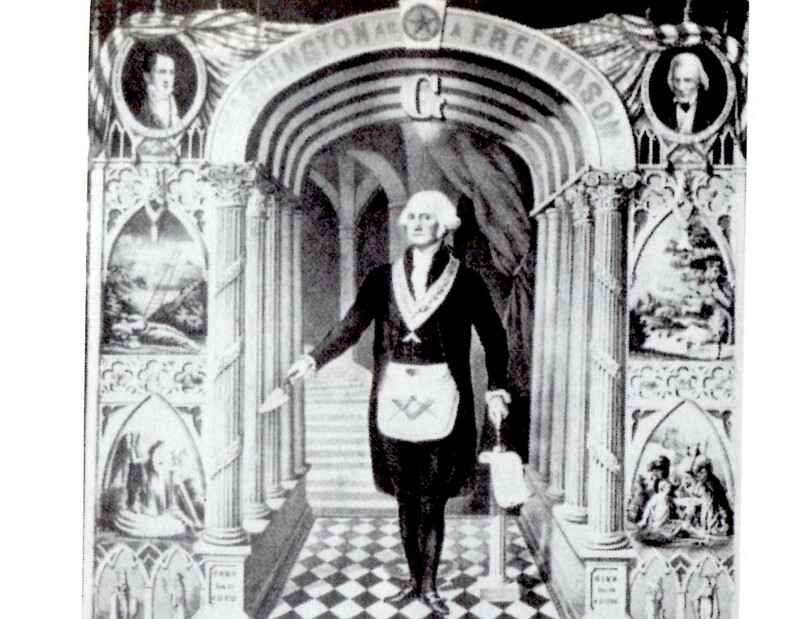 One clear example of this one-sided phenomena is George W. Bush of New Haven, CT.
You must have moxy, use of a good hynotist, and you must hold high a major goal to strive for, in order to reach the presidency and "catapult the propaganda" for the backers; yes, that's the job description someone gave W when he signed on to robot for the cause. He thoughtlessly passed the phrase on while on camera. To be crude, why should he have cared who knew? It's in the bag! So next time you spy a president or VP in your neighborhood, on TV, radio, iPhone, online, or wherever, please ask - of no one in particular - "What wealthy shadows back this nag?" Then follow the whiff of money as it leads you by the nose like a cartoon cat or a mouse after cheese. And let the world know what you find! At least that's what I'd do. Ah but in other news, i have a dear friend who is a professional fibers artist [read: knitter] and i directed him to yr daughter's etsy page! Hopefully he will dig her wares enough to order some. Keep writing! And i will keep reading what you write. Jed, this is a great analysis, thanks for posting it! Can't seem to come up with a time when Mars/Pluto and the Dragon's coils and twists made a happy-go-lucky combo but i'd like to be wrong - how wonderful if their tremendous energy is directed for good use, not ill. Yet I know Saturn approaches US n Neptune, and Pluto will be opposing US planets in Cancer for some time. i allow a 5 degr orb both ways with Pluto, how about you? Immediate effects may wane faster than they wax.